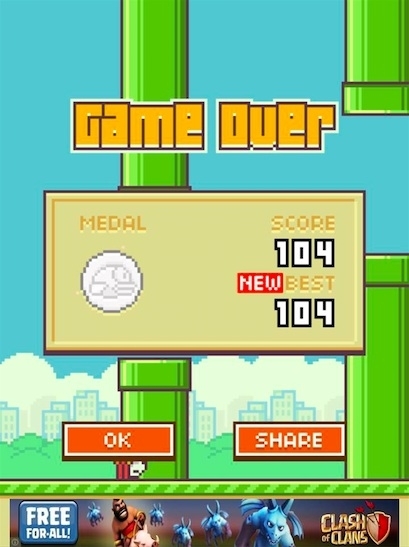 Sometimes it's OK to show off, especially when the game in question is Flappy Bird. To say we have a love/hate relationship with the number one free iPhone and iPad game is a huge understatement. For every good score, there's 15 to 20 screw-ups. In fact, we blow it at the first couple of pipes on a regular basis. That's what made today special. After reaching 80 a couple of times, which you'll see next week, we managed to achieve 104! Now all of a sudden, 120 doesn't seem impossible. 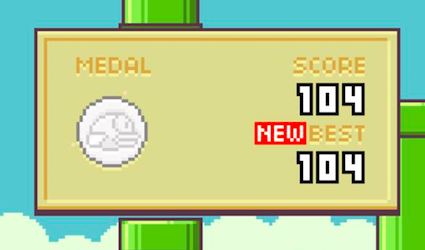 That said, we have to ask: what's your Flappy Bird score? Here are seven reasons why you're bad at Flappy Bird.